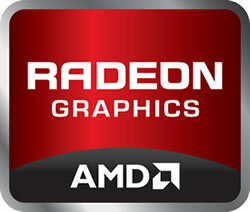 Radeon owners have a fresh driver update today, courtesy of Catalyst Software Suite 12.3. As usual, the release covers cards spanning back as far as the HD 2000 series and introduces full support for the latest HD 7000 products (except on Windows XP). Besides supporting Southern Islands GPUs, Catalyst 12.3's release notes don't mention any new features or game frame rate optimizations. However, a plethora of bugs have been fixed. Most of the fixes are for Windows 7, including one that caused Tom Clancy's H.A.W.X to crash after task switching with anti-aliasing and morphological anti-aliasing (MLAA) enabled. Another caused Furmark Benchmark to crash when launched in high performance mode, while Alan Wake had issues when launching in DirectX 9 mode with multiple cards in Crossfire, and Far Cry 2 caused a system hang when running the game on high. Image flickering and other assorted graphical glitches have been solved in Quake 4, XPlane, and TES V: Skyrim on Windows 7, while AMD has solved corruption in Enemy Territory Quake Wars when playing on Windows Vista. AMD notes that it's still working on other artifacting and crashing problems in Enemy Territory Quake Wars, Rage, and Crysis 2 on Windows 7, as well as Dirt 3, Crysis Warhead, and Dragon Age 2 on Windows XP. Folks running Windows 8 are still best off with the month-old 8.93.7 RC10 driver, which doesn't cover HD 7000 products. Assuming you have an HD 5000 or 6000 series desktop card, the driver adds support for Windows 8's WDDM (Windows Display Driver Model) 1.2, including native Stereo 3D support for full screen and windowed gaming, optimized screen rotation and power consumption, as well as improved sleep and resume performance.